Leadership Connections was a great success and a lot of fun. 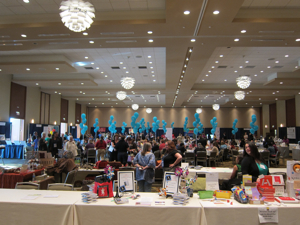 We learned a lot talking to a many early childhood education leaders and child care directors. We discussed how centers are managing enrollment and waiting lists, and the manifold challenges child care leaders are facing. We even got to observe a hands on session where directors discussed the areas where they are seeing success in marketing and promoting their programs. Okay. Now for the fun part, the pictures! The Westin, Wheeling, IL. It was well decorated and organized for the early childhood leaders attending. 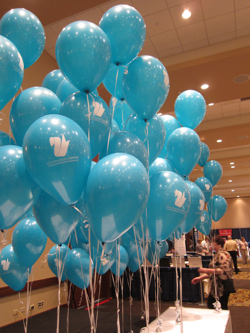 The ballroom hosted a diverse set of activities from meals, to exhibitors, to Zoomba. 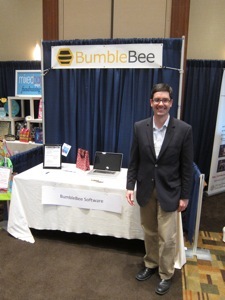 BumbleBee is going to be at the Leader Connections Conference Marketplace Thursday May 17th and Friday May 18th in Wheeling, IL. It is going to be a great event! We will be giving demos, answering questions, and getting your feedback. Also be sure to stop by our table to enter our drawing for our Bee Home Spa Treatment gift basket.